We all yearn to live a great life, but what does that actually look like and how can we all lead one? A new podcast from an experienced radio and podcast producer isn’t afraid to tackle the big questions. 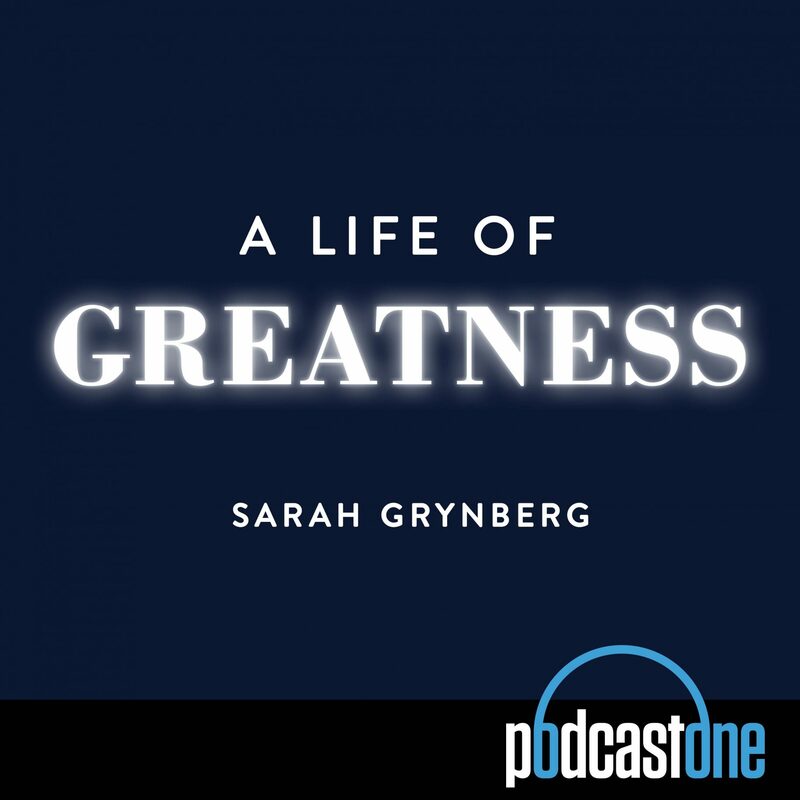 In the new series A Life of Greatness, host Sarah Grynberg interviews some of the world’s thought-leaders, sports legends, entertainers, best-selling authors and inspiring minds as they explain how they have overcome challenges, conquered self-limiting beliefs and connected with a deeper sense of self to achieve greatness in their lives, and provide practical tips and advice for how you can too. There are many podcasters who would feel jealous of Grynberg, even before they listen to an episode. Why? 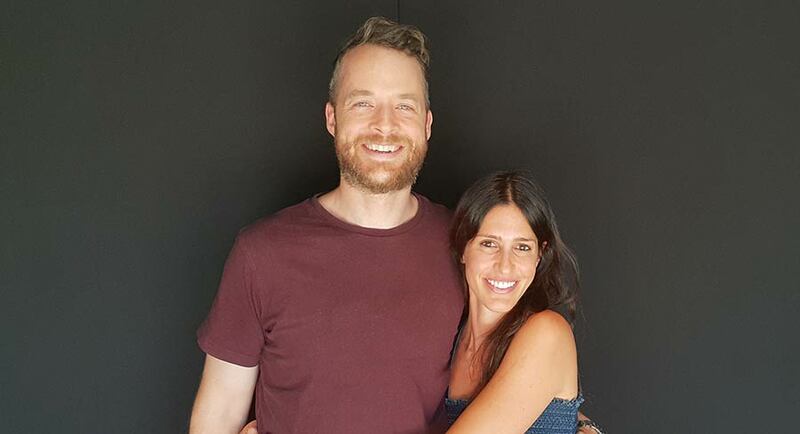 Because she managed to get time one-on-one with Hamish Blake. Getting the great man on the record without him constantly cracking jokes is a massive win, both for Grynberg and her audience. Blake talks about his life, his family, meditation and living in the moment. He is much more than a joke machine…who knew? Grynberg knows her way around a studio and it shows. 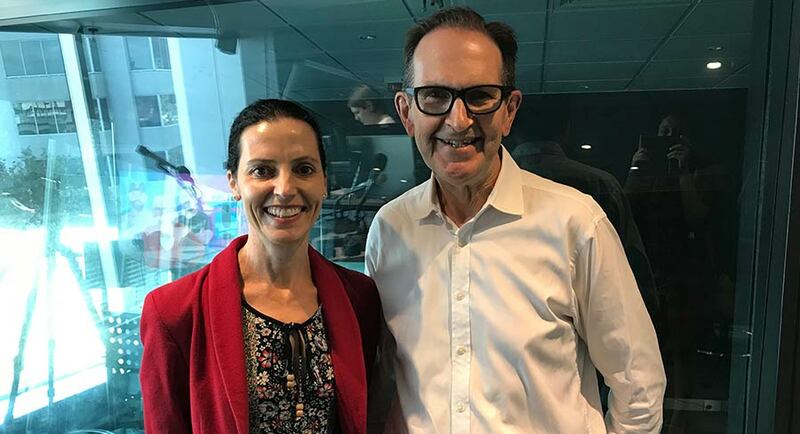 She has worked in breakfast radio and produces a number of podcasts for PodcastOne including Hamish & Andy, The Alternative Truth and Adam Shand’s crime podcasts. As a producer, Grynberg has been a great listener. In Mediaweek’s interviews with podcasters, we meet some very passionate people, but none more so than Grynberg as she described her work. “It humbles me to be the guide for these people to talk. If one person can listen to these podcasts and it changes their life then I think my job is done. Other episodes include talks with fellow PodcastOne host Wayne Schwass on healing from depression and bestselling author Gretchin Rubin on living a happy life. All the A Life Of Greatness podcasts are under 30 minutes, some under 20, making it easier to binge through this season. Grynberg records for longer, but then edits down. Listen to A Life Of Greatness here. Treasurer Josh Frydenberg has handed down his first budget, but will it be a vote winner that brings back the base ahead of next month’s election? 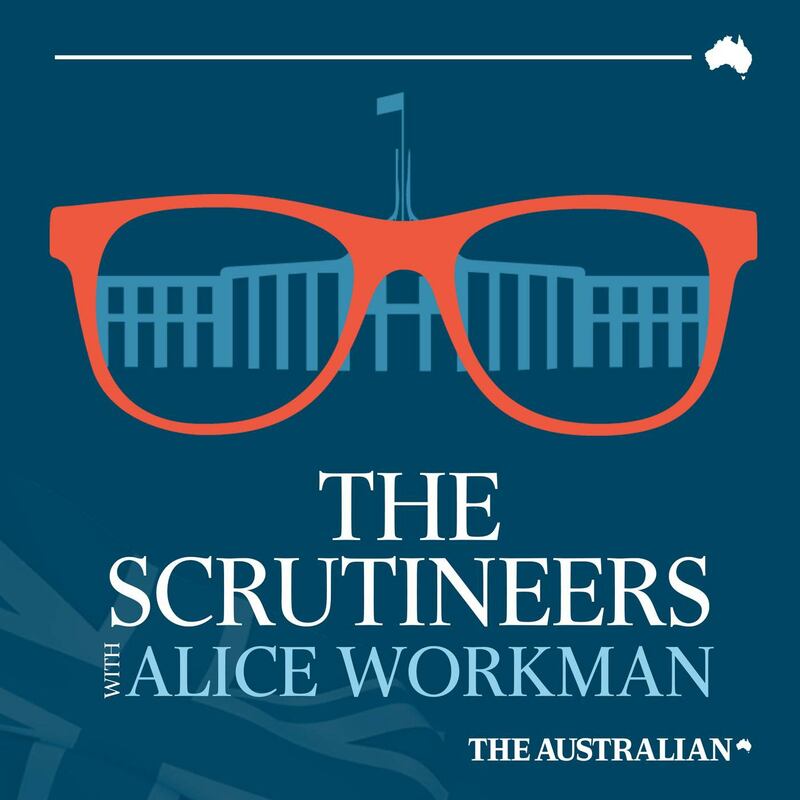 That was the topic on the first episode of The Australian’s new politics podcast, The Scrutineers. Alice Workman speaks to colleagues Dennis Shanahan, Rick Morton and James Jeffrey about the budget that has kicked off the next federal election campaign. In the podcast’s first seven days, the prolific Workman, a former BuzzFeed Canberra reporter who recently moved to News Corp, delivered three episodes. Listen to The Scrutineers here. 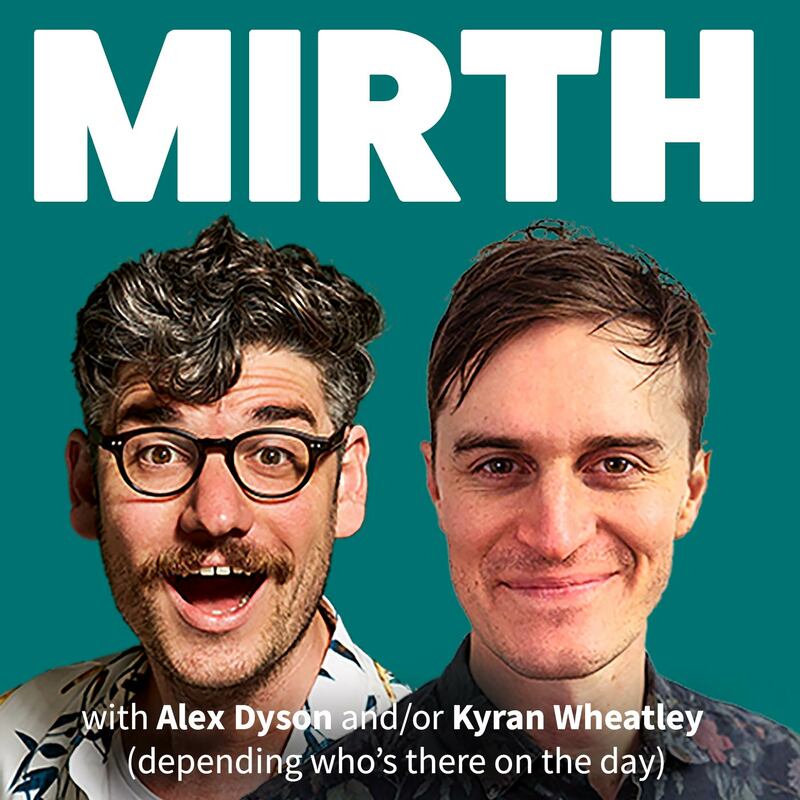 Alex Dyson and Kyran Wheatley are ex-Triple J hosts and they launched a new comedy podcast called Mirth just last month. They have set a cracking pace with 15 episodes already in the space of three weeks. Our favourites from a sampling include their time with Tom Ballard and Geraldine Hickey. They are recording the podcasts during the Melbourne International Comedy Festival at a pop-up bar they opened called BOB Bar. 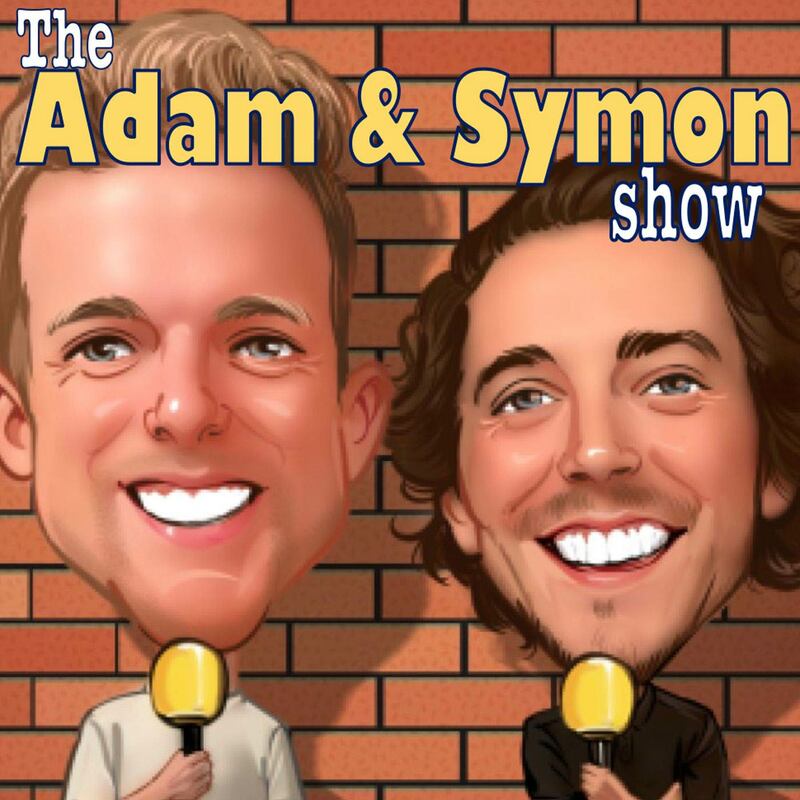 Self-confessed Gogglebox couch potatoes Adam Densten and Symon Lovett have dipped a toe in the podcast pool (more of a swirling ocean these days) with The Adam & Symon Show. Listen to The Adam & Symon Show here. I listen to this every morning – it gives a great summary of the previous day’s news and global topics and is a very succinct way to start the day. A great consumer interpretation on technology and lifestyle trends that is very forward facing. Being a keen traveller, and having quite a few clients in the travel industry, this podcast is a great source of knowledge on current matters. It’s not the best-produced podcast, but the content is very interesting. Off the back of the crime genre, I got very interested in true crime like Golden State Killer, then progressed into a great series that looks at more of the political/corporate issues such as the corruption in the New York State Senate, Iran Contra and BALCO. I’ve always enjoyed their humour, both on radio and TV, so when Hamish and Andy moved to podcasting it worked so well and showcased the medium in a different way to the majority of content. It feels like one of the first pieces of local content that helped drive mass adoption of the medium by bringing a lot of non-consumers on board to sample. If you’re a Voice tech junkie like me (complete with huge interest and no capability), this is for you. In-depth interviews with the current experts and creators of the technology that is set to change the way we interact with machines. It’s nerdtastic! Insanely good banter about your favourite re-watchable movies delivered by film journalists from The Ringer. It definitely helps to justify watching The Godfather or Pretty Woman for the 37th time, and keeps me laughing on my Tuesday morning Sydney commutes! The Australian’s latest true crime instalment. Why the Northern Beaches of Sydney has been a hotspot of deplorable criminals is a mystery in itself, Hamish will instil fear into anyone looking to make a quick buck. Keeping one step ahead of the consumer and technology trend curve is easier each week with this future focused content about what’s on its way and why we should care. The frustrated amateur psychologist in me adores these investigations into the intrinsic motivations of why we behave the way we do. We really are simultaneously ridiculously complex and simple creatures. • Four busy weeks in Mediaweek’s PodcastOne studio and 10 cracking podcasts. In the past four weeks Mediaweek has been able to get to spend time with some great people in the media in our shared podcast studio. We’ve been so busy recording that we haven’t had time to share all the information about the different sessions. So here is a brief summary. Start listening now as we’ve got more to come before Easter too. Don’t forget to subscribe too in your favourite podcast player so you get automatic notifications about our new sessions. A radio masterclass that includes everything from what works best – live reads or produced ads – through to discussing if radio ads could win an election to Alan Jones’ 2GB contract talks! 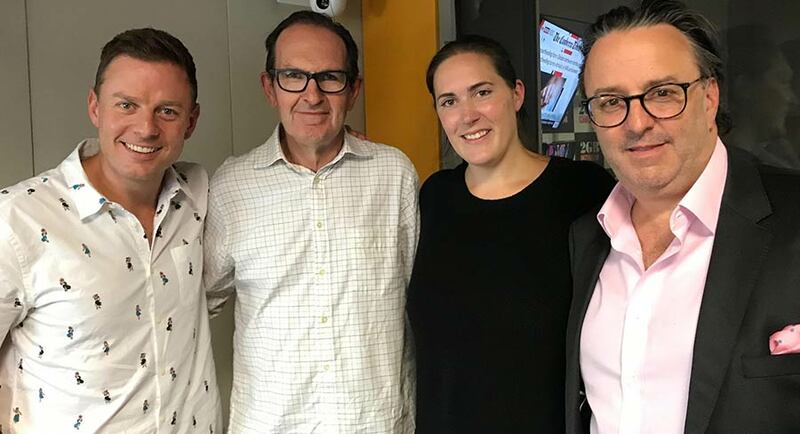 Our special all-star panel is Ben Fordham (2GB drive), the recently promoted Philippa Noilea-Tani (Wavemaker’s national head of investment) and Brian Gallagher (Chief sales officer, Southern Cross Austereo). 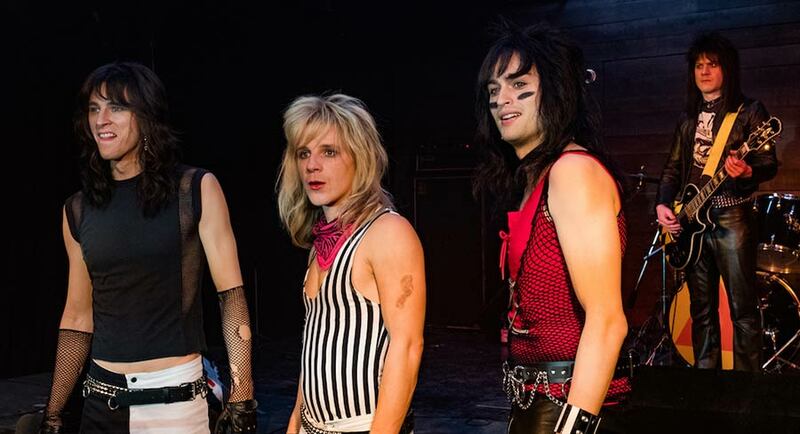 Mediaweek contributor Andrew joins James Manning as they cover programs as demure as Dancing With The Stars to outrageous shockers like The Dirt, Netflix’s Mötley Crüe biopic. 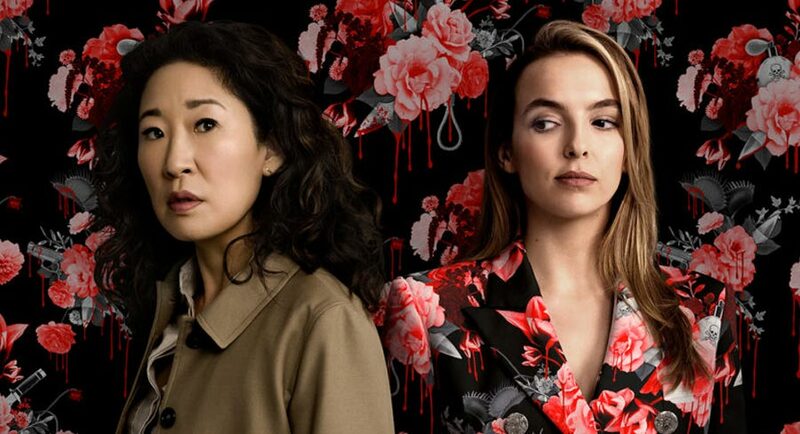 Along the way they also cover Christians Like Us, Mum, Veep, Our Planet, After Life, Restoration Australia, Australian Crime Stories, Killing Eve and much more. Mediaweek editor James Manning visits Ross Dagan, 10’s network director of news content. 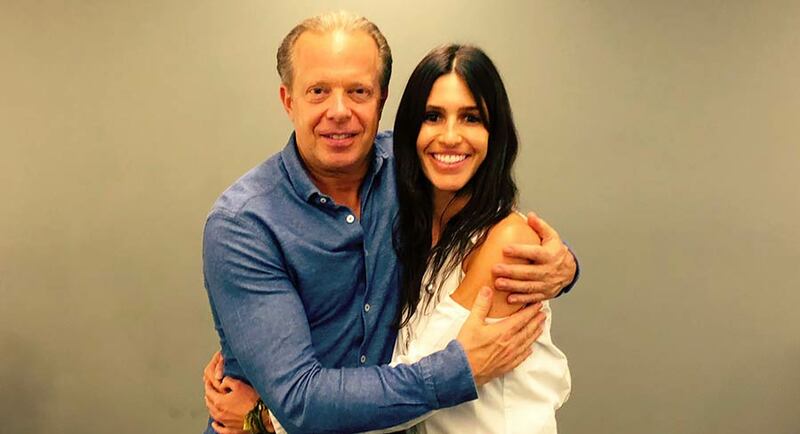 Dagan reinforced the broadcaster’s commitment to news, spoke about plans for closer ties with CBS and was frank about re-entering the breakfast TV space and extending primetime news coverage. Content discussions covered everything from Studio 10 to 10 Daily to the re-branded early evening bulletin. A discussion about the fastest growing advertising medium, out-of-home, with two special guests from Posterscope. 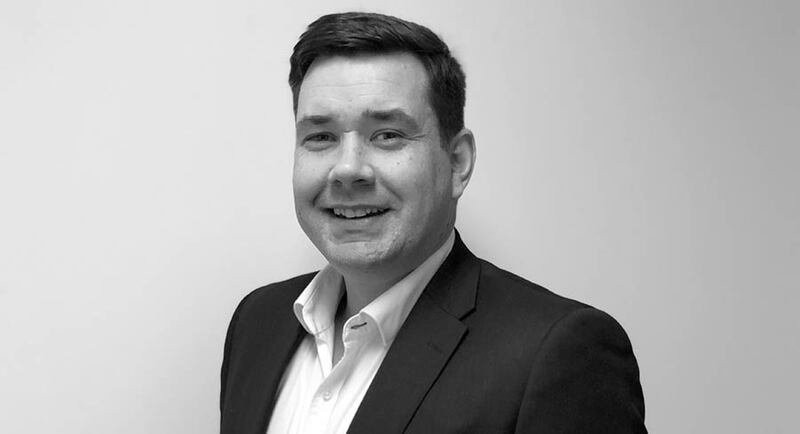 Bryan Magee is the MD of Posterscope Australia, and he is joined by the global president of the business, Stephen Whyte. We cover off regulation, digital transformation, demand, pricing and talk about the world’s prime outdoor sites from Sydney’s Coke sign to how much it will cost you to make an impression in Times Square or Piccadilly Circus. 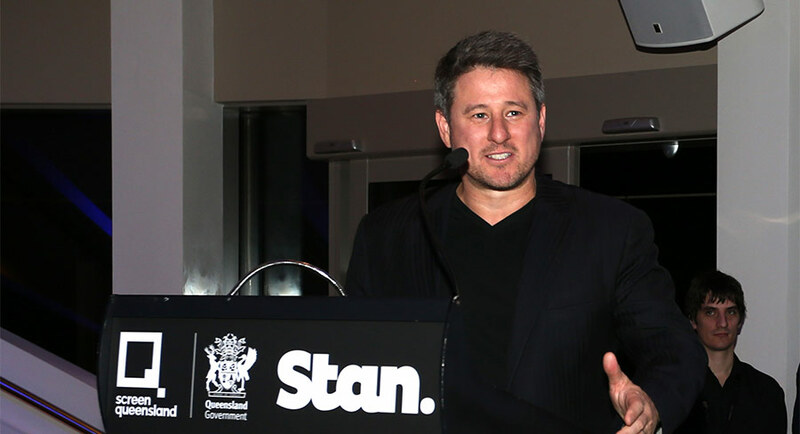 Business journalist John Stensholt moved from Fairfax Media to News Corp last year. 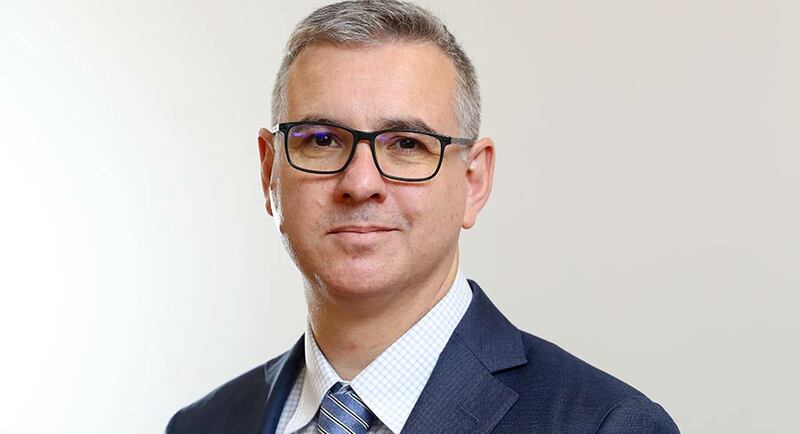 He is a former editor of The BRW Rich List and recently The Australian published its bigger and better version – The List. Hear him tell Mediaweek how he researched 96 Aussie billionaires, most of whom helped provided accurate financial information. The audio and language services provided by SBS might just be the biggest radio network you are not listening to. Plenty do tune in though across eight live stations broadcasting in 68 languages. A staff of around 200 attract a massive monthly audience which includes 1.6m monthly program downloads. 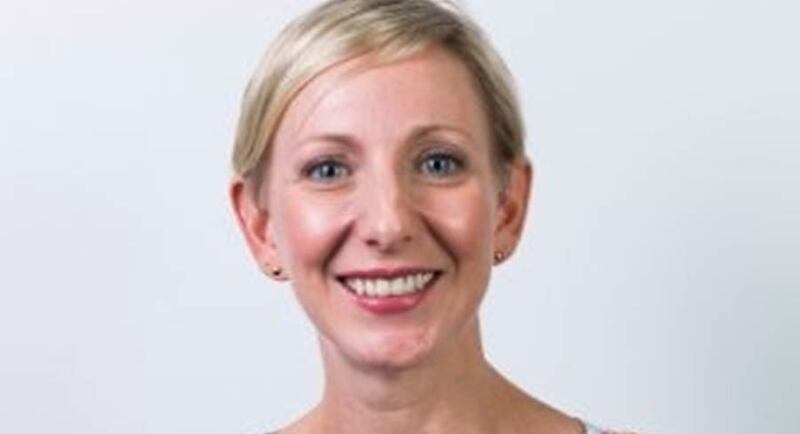 Former Austereo, Macquarie and Nova radio executive Mandi Wicks heads the division and she joins Mediaweek’s James Manning to talk about the SBS radio stars and a whole lot more. How can she afford that? Where the hell is the money going? Will she ever be able to afford a home? In her new book A Real Girl’s Guide to Money: From Converse to Louboutins, financial commentator and recently departed Money editor Effie Zahos answers these questions. She goes even further in this Mediaweek podcast. The Money TV show used to be huge, and we ask Effie why there is no longer a show about money on primetime TV. For two years now SBS has captured the attention of many Australians with its Slow TV productions from Australia’s Mint Pictures. 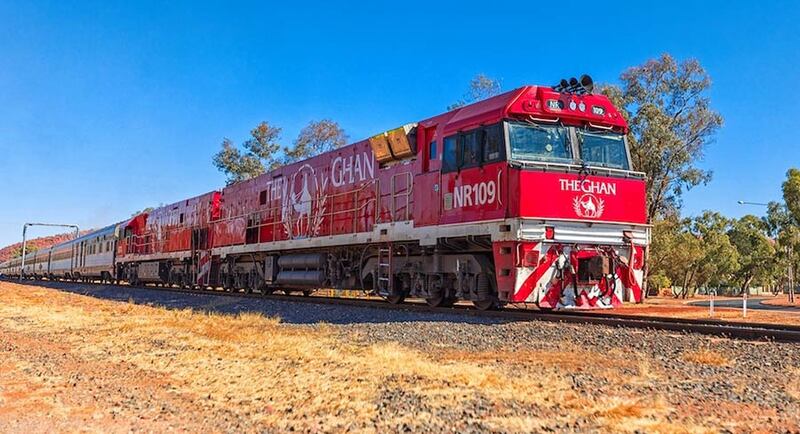 Mediaweek this week did a fast podcast with the Slow TV man – Adam Kay – who tells James Manning about the details involved in filming Australia’s two greatest train journeys – The Ghan and then The Indian Pacific. Although a bit of a train buff himself, Kay reveals he spent most of the journey across Australia directing things from a chopper! Hear also about the challenges spending 10 days at sea on the Kimberley Cruise Slow TV shoot. And what might he be filming soon for next year? Don’t miss this fascinating look inside the Nine Entertainment-owned video streaming service Stan. As the platform enters its fifth year, Sneesby talks with Mediaweek’s James Manning and Andrew Mercado about its biggest hits and its Australian commissions. Sneesby reveals some of the “secret sauce” that has helped Stan become possibly the most successful streaming platform globally. The business has annual revenue of $200m+ plus and will make a profit this year! If you have dismissed Neighbours as a show that is not worthy of your time, it might be time to reconsider your viewing habits. According to one of the most passionate and knowledgeable fans of Australian drama (Mercado), this year the series has delivered some of its best moments in the last 35 years. Mercado celebrates the soap with Network 10 Neighbours’ executive producer Sara Richardson. The two of them have a good old time and Sara has some insights into how she broke into the TV industry. She also reveals some of the classic factual and drama series she worked on before 10 at Playmaker and Essential Media. 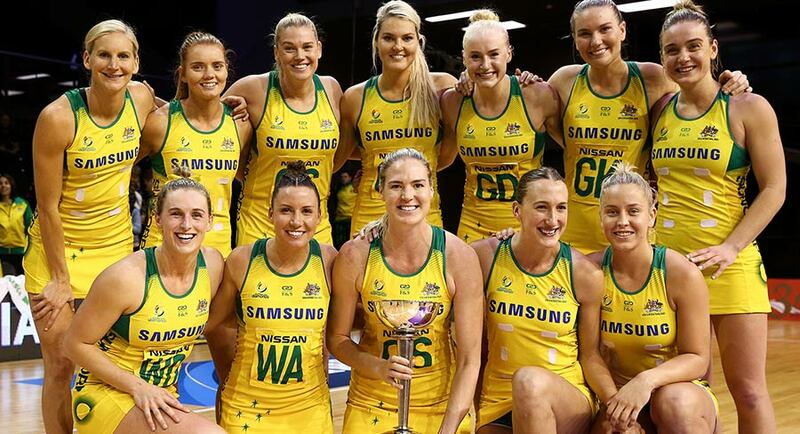 Nine’s Wide World of Sports has secured the exclusive rights to broadcast the Vitality Netball World Cup 2019 – netball’s premier international tournament – live from England between Friday, July 12, and Sunday, July 21. In the 15th Netball World Cup, at the M&S Bank Arena in Liverpool, 60 matches will be played over 10 days, culminating in the Grand Final on Sunday, July 21. The best 16 teams in the world will take part, headed up by Australia, the reigning World Cup champions, Commonwealth Games gold medallists and host nation England, New Zealand, Jamaica, South Africa and Malawi. The other 10 teams, who made the World Cup through regional qualifier events last year, are Northern Ireland, Scotland, Fiji, Samoa, Uganda, Zimbabwe, Trinidad and Tobago, Barbados, Sri Lanka and Singapore. Former Australian captain and Nine commentator Liz Ellis said: “I’m rapt that the Netball World Cup will be broadcast in Australia on Nine. The World Cup is the pinnacle international event for any netballer, and this year it is a wide open field, with a number of teams fancying their chances. 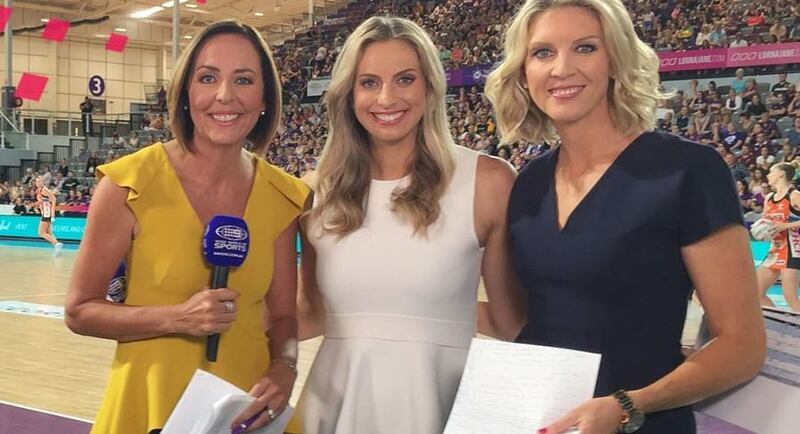 Nine’s Wide World of Sports will broadcast every Australian Diamonds game, plus all other games will be on 9Now, commencing at 8pm on Friday, July 12. The Netball World Cup, a quadrennial championship coordinated by the International Netball Federation, has been played in seven countries since 1963. The first championship was hosted by England. Over this period Australia has won the cup 11 times (including one draw), New Zealand four times (one draw) and Trinidad and Tobago once (also joint winners). Nine and 9Now will broadcast every game live on Nine, 9Gem and 9Now. After two nights above 650,000, Home And Away Wednesday did 723,000, its best numbers this week. My Kitchen Rules should have expected a bit of a boost this week. But old fans who haven’t kept up this year might be finding it hard to buy back in. The show did post its best numbers this week though – 885,000. The Front Bar screened in AFL markets with 399,000 after 381,000 a week ago. The Melbourne audience was 263,000 after 256,000 last week. Other markets saw new episodes of Modern Family early (and later elsewhere), with 273,000 watching. Nine posted its lowest Wednesday survey share and its third-lowest survey share from any night. The 7pm veteran A Current Affair has been on a wild ride this week with its 1m Monday dropping to 800,000 on Tuesday and then 739,000 last night. A repeat episode of Paramedics then did 271,000 (Sydney and Brisbane only this week) after 483,000 last week. Other markets got RBT. AFL markets got The Footy Show with 142,000 after 160,000 last week. The Melbourne audience moved to 85,000 after 92,000 for the past fortnight. US medical drama New Amsterdam continued in Sydney and Brisbane. The second evening of Bachelor In Paradise featured the unedited and uncensored split screen confrontation between Richie and Alex. The reunion helped attract the audience of 539,000, down slightly from the opening night of 553,000. The episode was #1 under 50 plus #1 18-49 and 16-39. Two US dramas then returned to the schedule. Bull was on 208,000 at 9.15pm before Hawaii Five-O did under 100,000 later in the night. Earlier in primetime The Project featured animal rights activist Chris Delforce again plus retired cricketer Kevin Pietersen also on animal rights, in his case rhinos, and later comedian and author Ben Elton. The episode after 7pm was up again to just under 500,000. Sports Tonight gets the late, late midweek slot with less than 50,000 after 11pm. Hard Quiz did 728,000 for a second successive week for its equal highest audience of the year. The Weekly With Charlie Pickering was up week-on-week from 615,000 to 661,000 to claim the ABC’s third top 10 spot last night. You Can’t Ask That was throwing questions at African Australians with 479,000 watching. QI then did 289,000 followed by the premiere of UK comedy Mum on 141,000. The 8pm episode of Great British Railway Journeys did best with 189,000. It was preceded by Going Places With Ernie Dingo on 177,000. At 8.30pm the second episode of Christians Like Us did 136,00 and was followed by 24 Hours In Emergency on 125,000. Australian Netflix viewers could be set for a surge of new local content, with the government launching a financial incentive to woo streaming giants to produce shows in Australia, reports The Australian’s Elias Visontay. The initiative will open the doors for online television producers such as Stan, Netflix and Amazon Prime to claim a refundable tax offset when producing in Australia, which will have the knock-on ­effect of employing local production houses, actors and other businesses. “Increased demand for our screen skills is essential to developing a sustainable sector,” Communications Minister Mitch Fifield said. Clive Palmer has sealed a $6 million advertising deal with News Corporation for prime positioning across the publisher’s mastheads and news websites in the final week of the federal election campaign, reports The AFR’s Max Mason. Industry sources told The Australian Financial Review that Palmer’s United Australia Party (UAP) had won a tender put out by News Corp for the best advertising positions in its publications. News Corp’s publishing portfolio includes The Australian, The Daily Telegraph, Herald Sun and Courier-Mail. The advertising arrangement is not exclusive, so the Labor Party, the Liberal-National Party, or any other party can, and are expected to, buy advertising for their campaigns in News Corp papers in the final week of the election. However, UAP will have what is considered better ad positioning in the paper. 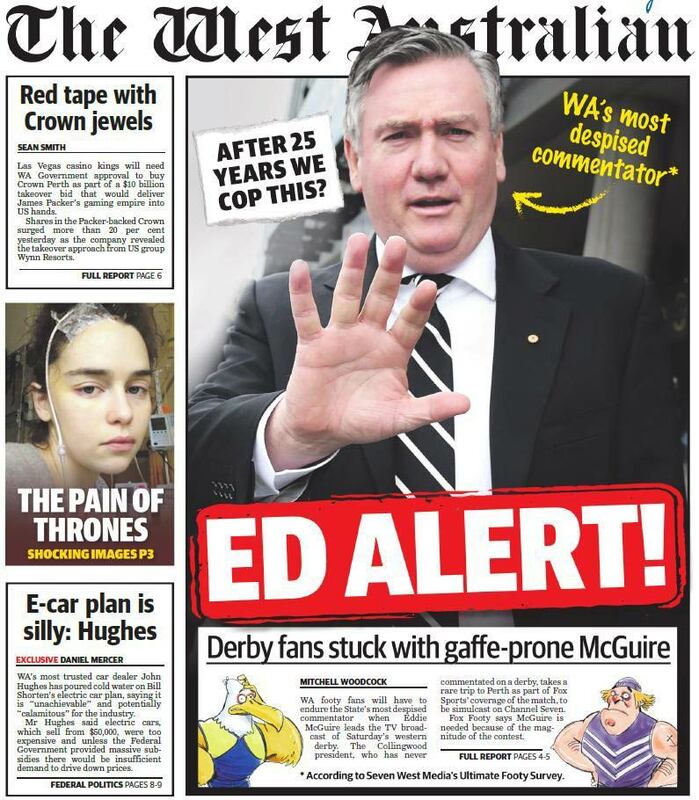 Palmer is still expected to advertise across free-to-air television, other major newspapers outside of the News Corp portfolio, radio and other channels to market. 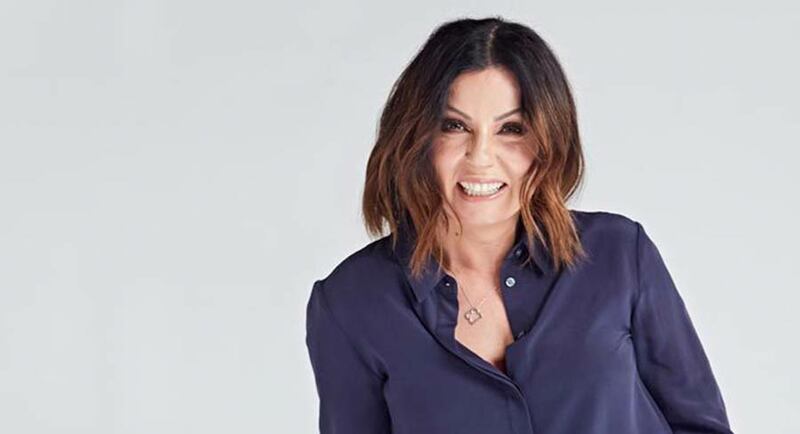 Women’s digital network Mamamia has reported a reach in excess of 5m Australian women (de-duplicated) with new highs in March across all content areas of the business. Podcast listeners were up over 30% on January driven by new daily show The Quicky, which launched February 18th and achieved almost four times the monthly benchmark set with launch partner, MyBudget (Source: Omny, March 2019). 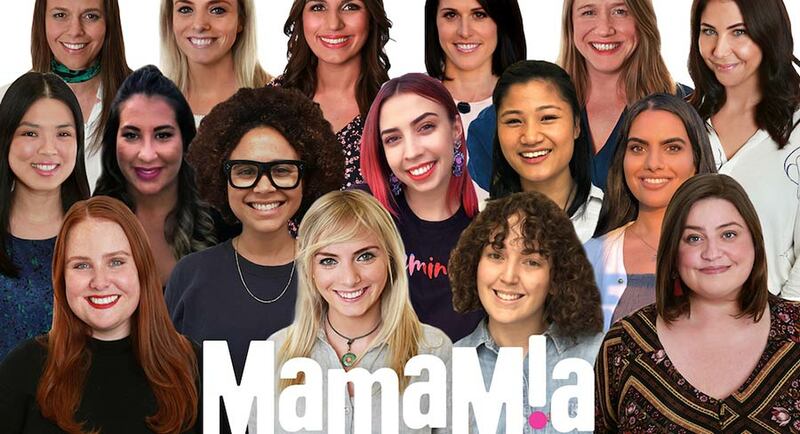 Co-founder and chief creative officer Mia Freedman attributed the success to Mamamia’s diversity of talent: “Our bench strength of creative women across articles, video, podcasts, social and influencer management is deeper than it’s ever been, and it’s something Holly (Wainwright – head of content) and I are very proud of. Another podcast partner of Mamamia, Westpac, recently launched its latest collaboration, The Split, to help women through the experience of divorce. The first episode hit its download goal within three days. Mamamia’s momentum in audio continues with The Australian Podcast Awards recently announcing that six of its shows are finalists, two of which will be live touring with ticketed metro and regional events later this year. Mamamia signed new partnerships in March with Vodka O, Target and the NRL. 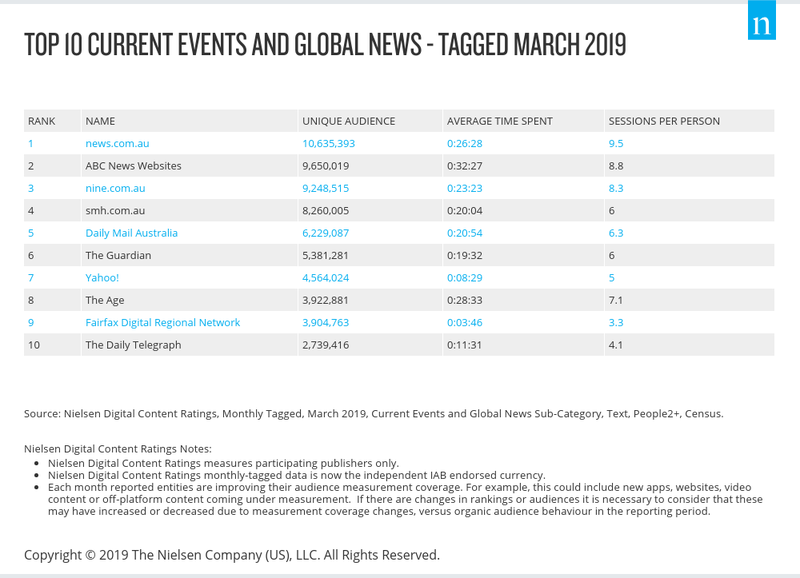 Nielsen has released the March 2019 Nielsen Digital Content Ratings tagged data. 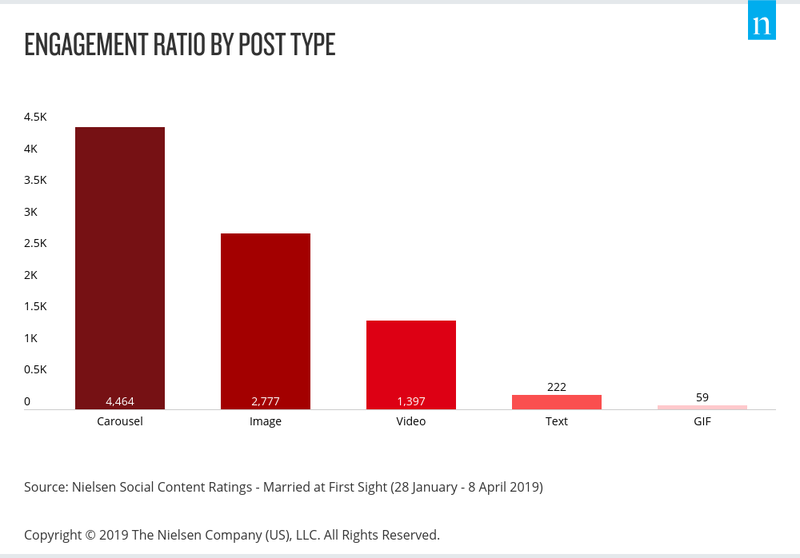 Looking at time spent accessing text content online in March 2019, desktop was the device of choice (42%), closely followed by smartphones (40%) and tablets (18%). When specifically looking at the sports sub-category (which included AFL and NRL season kick offs), online Australians took to their smartphone devices to engage in sports content. 55% of time online was on a smartphone, 36% on a desktop and 9% on a tablet. 2GB is built on bullying. I know. I was there when Jesse Perez, who recently told some of his story to the ABC’s 7.30, was summoned to Ray Hadley’s studio, writes former employee Tim Brunero in The Sydney Morning Herald. Jesse was shaking. He was sweating. He dutifully went to Hadley’s studio. At issue was a satirical piece he had written on the website. He came back 15 minutes later, ashen-faced. I know what was said because I asked Jesse to write an account of it and send it to me within minutes of it happening. It’s still sitting in my inbox. Hadley has said on air he does not recall Jesse. Stories of Hadley’s temper were legendary. He and Alan Jones were people you actively avoided. Hadley wouldn’t even smile or nod to you if you passed him in a corridor. He wouldn’t meet your eyes. I can write about this now because I’m no longer in commercial media and don’t have to worry about upsetting the boss. [Macquarie Media] should support staff who complain about bullying, not ignore them. And if the internal investigation now under way finds there are repeat offenders at the station – it should take them off air. It’s been almost a year now since I quit Twitter and I can’t say I’ve had any regrets, writes The Sydney Morning Herald’s Jessica Irvine. 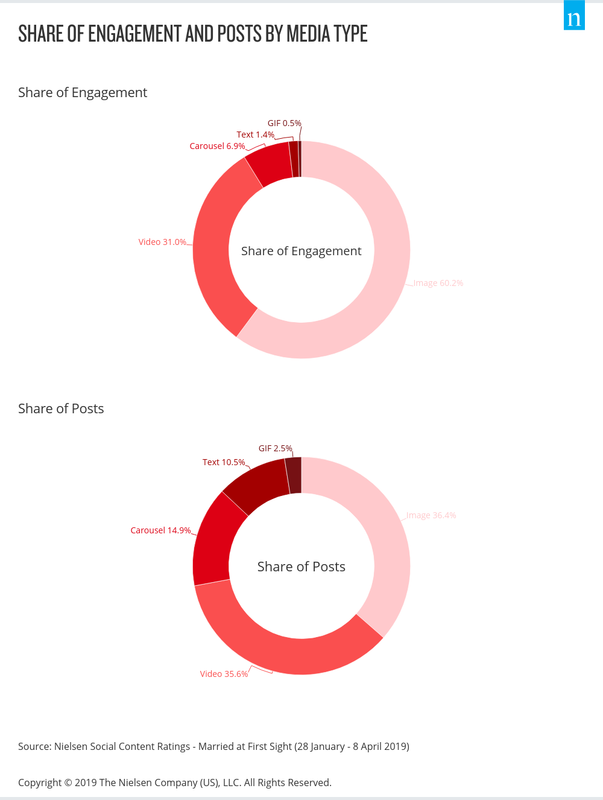 My reasons for abandoning the popular microblogging website were twofold. The first concerned the disturbing amount of times I found myself checking my phone throughout the day for compulsive scrolling through Twitter and other sites. My second reason for abandoning Twitter is harder to pin down. Generally, I didn’t like the tone. Social media sites started as the wild west of the internet, but today they are so mainstream it’s clear that the normal rules of human societies – of respect for the law, duty of care and transparency – must be extended to them. But it’s also time to hasten slowly. Social media sites may have become lightning rods for distracted and impulsive discourse, but the approach governments take to policy making in this area must be anything but. Most CEOs make headlines when their annual pay is notably high. Twitter CEO Jack Dorsey is getting attention for 2018 pay that’s notably low – and one that gives a symbolic wink to its own history. Last year, according to a regulatory filing from Monday, the social media platform reported that it paid Dorsey $US1.40 (yes, one dollar and forty cents), a nod to the company’s former 140-character limit. It’s an unusual twist on what’s been called the $US1 salary club – a wealthy, rarefied group of founder-CEOs with such massive equity stakes in their companies that base annual salaries are token and inconsequential. Two Australian TV shows on friendship and family have been honoured at the International Emmy Kids Awards in Cannes, reports News Corp’s Brian Buchanan. Rachel Davis and Amanda Higgs of Matchbox Pictures were given medals for their show, Mustangs FC (Might Mustangs), for being in the final four of the Series section of the awards. Mustangs is a comedy drama about girls who abandon the sidelines and start the first female team in their local football club. Produced by Matchbox for the ABC, the series is set in suburban Australia. The show explores the relationship between team members and the struggle to be taken seriously as an all-girls team. Davis said they were honoured and humbled to be finalists among such high-standard international competition. They were up against entries from Germany, Canada and Brazil, which won the section. Another Australian show, Secret Life of Boys – Season 2, was in the final four of the Digital section. It is a co-production from Zodiak Kids Studio for CBBC (Children’s BBC) and the ABC. As television screenwriters Robert and Michelle King have shaped their sociopolitical legal drama The Good Fight through its commercially and critically successful first two seasons, they have studiously avoided using the T-word. That is, T for Trump. As a result, Baranski says, the show’s third season will dive deeply into the polarisation of America. “Our writers are great, they’re just so brilliant at taking us right in there, into the heart of what’s going on, and looking at both sides or as many sides as possible,” Baranski says. Kit Harington’s Saturday Night Live hosting debut last week included a monologue heavy on Game of Thrones with one primary through-line: Harington, who plays Jon Snow, refused to reveal how the show ends. HBO has an ironclad battle against spoilers for its most popular enterprise, reports The Washington Post. Security is so tight that the show long ago stopped using paper scripts, which can be easily leaked. Sophie Turner, who plays Sansa Stark, offered DigitalSpy a bit more insight on these. 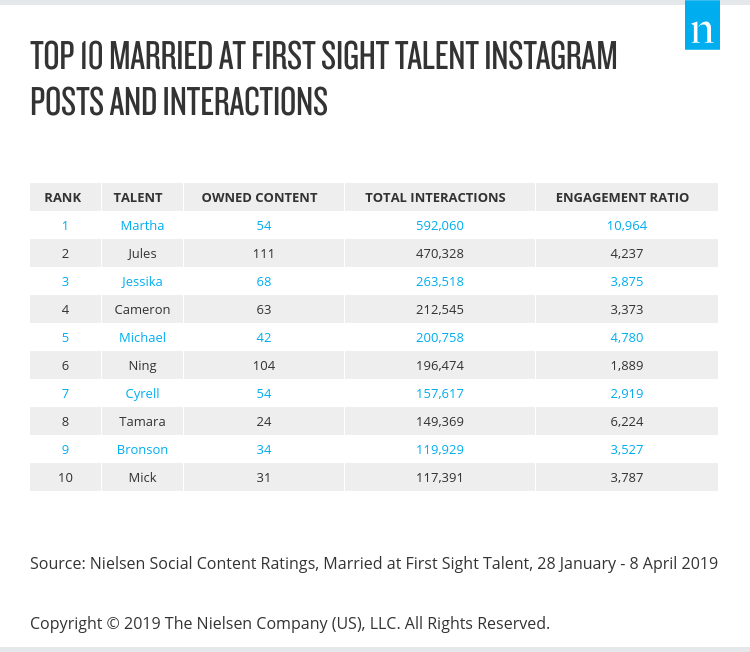 MAFS 2019: What do the millions of viewers watch now? 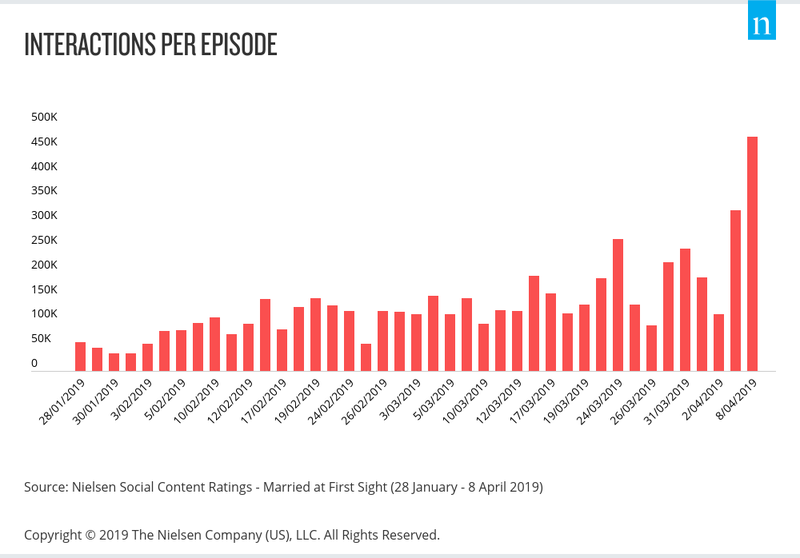 On Monday night, 2.6 million Australians tuned in to watch the Married At First Sight finale, reports News Corp’s Cameron Adams. Regardless of what you think of the show – guilty pleasure or brain cell-killing trash – that figure proves that free-to-air TV shows can still pull a huge audience. 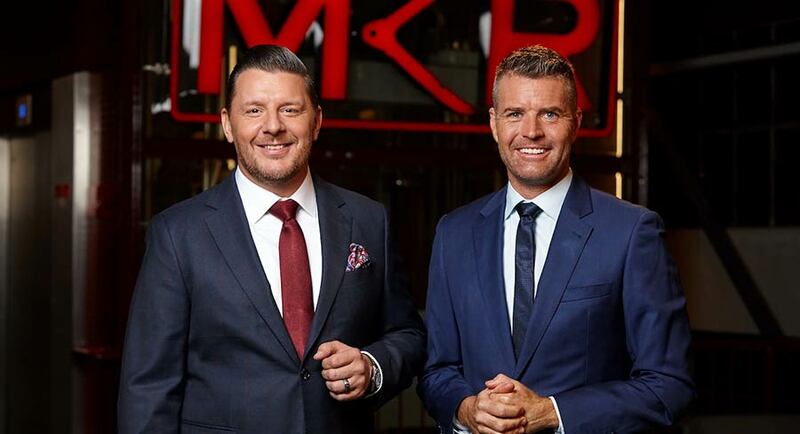 However, come Tuesday night and the biggest non-news program was good old My Kitchen Rules with 1.2 million viewers. So that begs the question, where did the other 1.4 million viewers go in 24 hours? 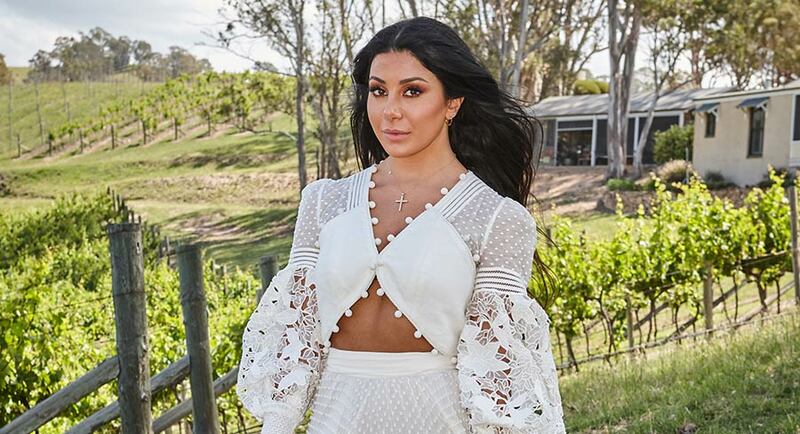 They certainly didn’t go to Channel 10, where the network had strategically launched Bachelor in Paradise to roll out the day after MAFS’ pillow lips were finally sealed. Literally overnight, the viewers have vanished. Presumably they’ve gone back to where they’d previously found better options than what was being offered on free to air – Foxtel (Game of Thrones will launch on Monday), Netflix, Stan, Amazon Prime or good old YouTube. The resurgence of records has the music industry spinning around, with ARIA reintroducing a top 100 vinyl album chart this week to coincide with the annual Record Store Day celebrations, report News Corp’s Kathy McCabe and Cameron Adams. As tens of thousands of music fans prepare to trawl through the racks of their local record store on Saturday, ARIA reveals vinylphiles are embracing new releases on the shiny black plastic as much as they replenishing their collections with classic albums. While Queen’s hit collections were among the most sought-after records in 2018, new releases by Australian artists including Gang Of Youths, Tash Sultana, Skegss and four albums by psychedelic rock heroes King Gizzard and the Lizard Wizard factored in the top 50 albums. Recent figures released by ARIA showed vinyl sales in Australia grew for the eighth year in a row, up 15 per cent to almost 900,000 albums in 2018. But that growth fails to factor in the burgeoning second-hand trade in vinyl at record stores and weekend market stalls suggesting the consumption of the black plastic is even higher. See also ARIA announcement today. It’s like watching the end of an era and it’s happening less with a roar than a whimper. Channel Nine’s AFL version of The Footy Show has fallen to the level where it’s struggling to attract 100,000 [Melbourne viewers], the lowest numbers since its 1994 debut. Once, it was shiny entertainment, punched up with news and brimming with energy, the place to see the code’s current champs spruced up in suits and ties and offering their tips on the round ahead. But over the years, the spark has died, even though Nine has worked to keep the production alive. There’s been a range of presenters and a succession of tweaks since founding host Eddie McGuire initially exited in 2005. The latest incarnation features Neroli Meadows, an excellent sports journalist and broadcaster whom the producers had the good sense to borrow from Fox Footy. She’s paired with co-host Anthony “Lehmo” Lehmann, sitting alongside Dylan Alcott and Brendan Fevola. 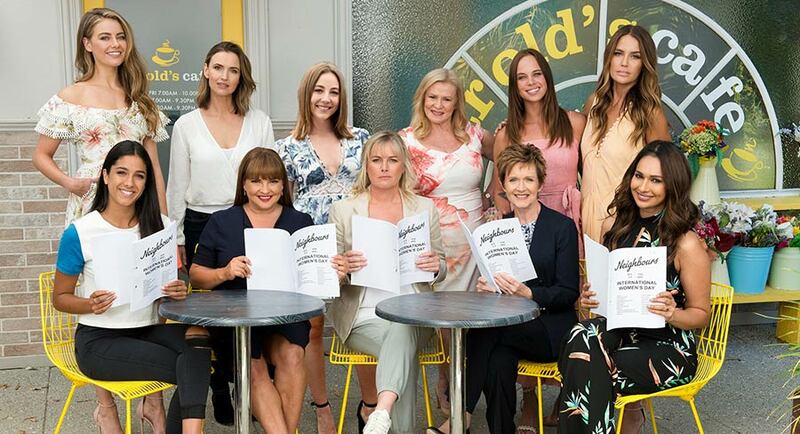 The killer blow for what had once been must-see TV in Victoria came in 2017, when Seven shifted The Front Bar from its slot after the match on Friday nights into direct competition with Nine’s once-dominant behemoth. Into its 13th season and occupying a weeknight berth, NITV’s The Marngrook Footy Show continues to bounce along with winning good humour. Offering a preview of the upcoming round, Marngrook’s mission has also been to focus on Indigenous players. Guests quickly become “brother” once the conversation gets rolling. It’s less polished than its rivals, but that’s part of its charm. The State Government doesn’t need Eddie McGuire to help sell WA through the western derby, according to Premier Mark McGowan, reports The West Australian’s Mitchell Woodcock. McGuire sparked another backlash yesterday ahead of calling his first derby this Saturday, suggesting on radio that he should have been in WA all week leading up to the match, which he is commentating for the first time in his more than two-decade career. McGowan and Tourism Minister Paul Papalia shrugged off the Collingwood Football Club president’s remarks. The Premier said the State could “take care of ourselves without advice from Eddie”. “I am a big fan of Dennis Cometti and Basil (Zempilas) – both great commentators. They do a great job, are both nice guys,” he said. McGuire believes his presence in WA could help bump up interstate interest for the West Coast-Fremantle clash. 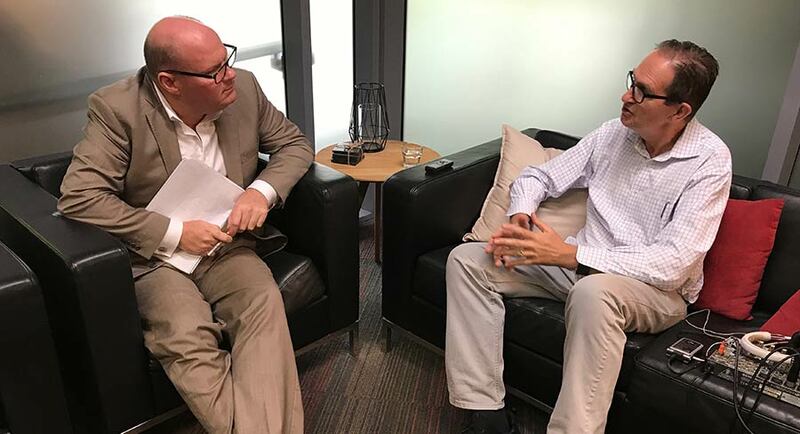 “What Channel 7 and The West Australian should have done is flown me over this week and had me do my radio breakfast show from Perth and should have had me down at Bunker Bay and Margaret River, doing the wine tasting,” he told 6PR.